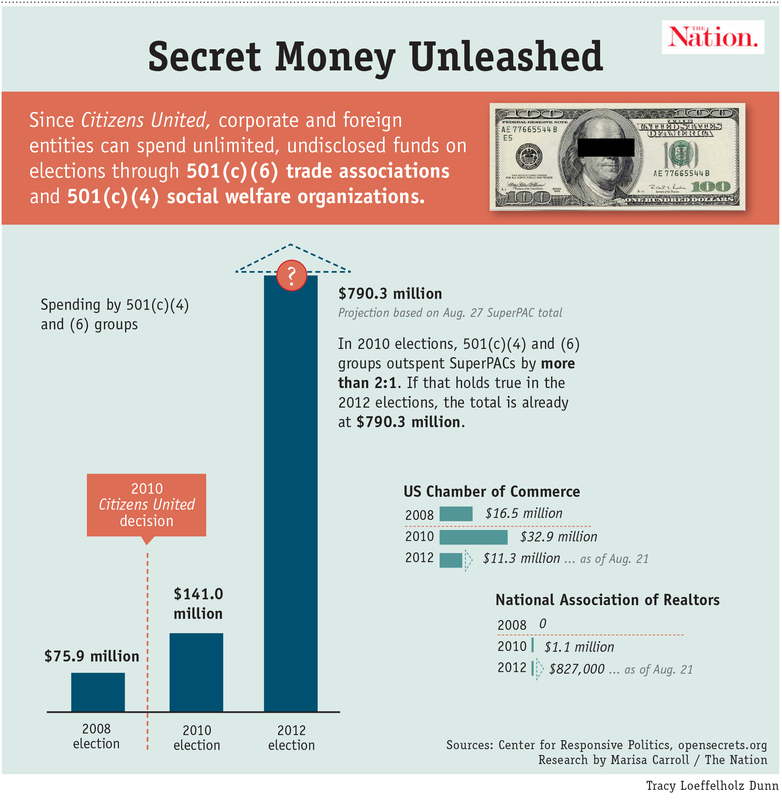 Since Citizens United, corporations and foreign entities can spend unlimited undisclosed funds on elections. Here's what it looks like. 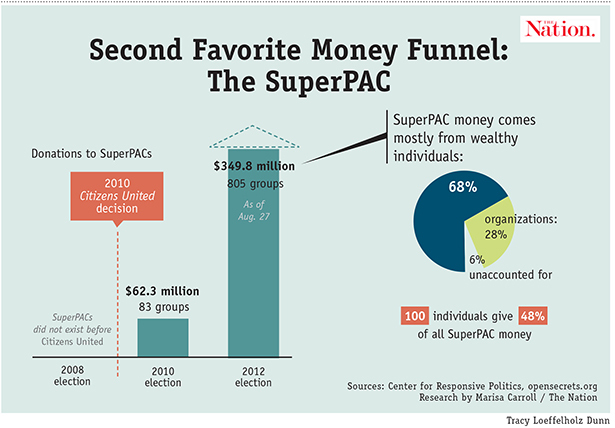 Meanwhile, SuperPAC spending continues apace. 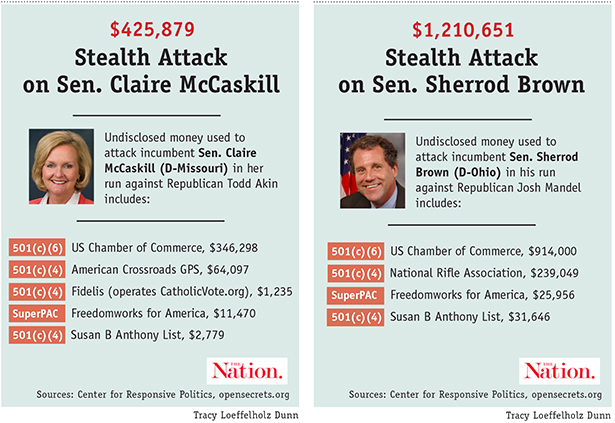 For more, read How Big Business Is Buying the Election.